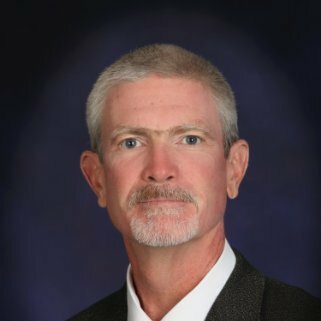 Dr. Robert N. McGrath began his career after graduating from the U.S. Air Force Academy, and served five years as an Aircraft Maintenance and Explosive Ordnance Disposal Officer. Afterwards he worked in project-driven aerospace environments as a logistician, engineer and manager for Texas Instruments, General Electric Aircraft Engines, and the Lockheed Aeronautical Systems Company. When the Cold War ended and with several Master’s Degrees accomplished, he completed a Ph.D. in Business Administration at Louisiana State University, Baton Rouge. As a full-time academic, his work has focused mainly in the areas of strategic management, project management, technology and innovation management, operations management, and logistics. 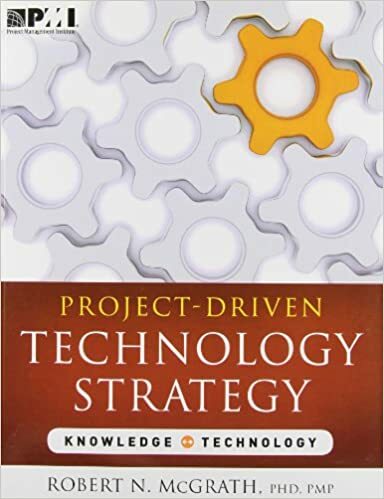 He is author of the book Project-Driven Technology Strategy: Knowledge Technology published by PMI. You specialize in teaching Project-Driven Technology. Can you tell us how technical skills are important to project management? What makes project management technology unique? Could you provide some examples in when being current in PM technology is important on projects? As noted, my focus is not about Project Management technology per se, as much as the Management of Technology — any technology amongst the thousands that exist. Here, of course, the dominant “process technology” is the PMBOK itself, a rather ‘soft’ technology in the normal vernacular, but fully compliant with the extant definitions of what technology is – human competence, and organizational capability. Anyway, the PMBOK is an ANSI standard, the ‘spec’ of this profession so to speak, which is the smoking gun of this esoteric point. If technology competency is so important for project managers why do you think so many companies overlook it when assigning a person to lead a project? Well, here definitions really do become important. If we are speaking of engineering-style, education/training-based degrees and certifications as technology competencies, then I’m sure this statement would vary in application tremendously across industries first and foremost. This would be especially true in industries that define themselves using technology boundaries in the first place, which has important limitations when it comes to managing innovation in the age of technological convergence amongst and across industries. One of my favorite expressions to hate is “THE Technology Industry,” which simply does not exist in any clearly-bounded fashion that is managerially useful except in the most casual sense. There are thousands of technologies and hundreds of ‘technology industries’ – not one of each! So to answer the question, one really needs to identify which technology competency(ies) are at issue in the given industrial context. You have written and conducted extensively on the topic of strategy and technology, where do you see the project management profession going in the next 5 years? “Follow the money.” This applies especially to large capital projects, whether they be privately funded or publicly (or hybrid forms). US companies continue to hold back massive, massive amounts of Retained Earnings, waiting for the day when capital projects can be planned in an atmosphere of acceptable balances between overall (Investment) Risk and ROI. Right now, companies are getting so tired of waiting for real recovery, they have switched growth strategies from internal development through capital projects, to Mergers and Acquisitions. In other words in order to grow, which is an incessant corporate demand, the project-level “numbers” just aren’t there yet to foster “Internal Corporate Entrepreneurship” economy-wide, leaving the one other traditional option — to simply merge with and/or acquire other firms. The year 2015 looks to be a record-setting year in M&A, especially in Healthcare. But this is not so good. The history of M&A fads is very bad in the long run. The “synergy” unicorn is just that in many errant M&A schemes, that wastes billions in real wealth. I’m not sure what a “traditional project management background” is! More to the point, I don’t know where the boundary lies between PM being a true profession, and a job. Some people get dragged into “management” almost against their will, almost as if they will accept the role only because they know what’s good for their careers. Turning down a promotion, even an informal one, can be a disaster. The term sometimes heard is the “Accidental Project Manager.” I think we all know many practicing managers, usually low-level managers, that hold contemptuous views about “management stuff” being so much “common sense.” Until they run into that crisis where lack of a key people skill, typically, shocks them into adopting a more mature and professional attitude. The moral of this story? Get enthused about the full range of human skills demanded of any professional manager early, accept these accountabilities fully, and let nature take its course. Executives are ALWAYS looking for the real pros, not the cynics. And sooner or later, get trained or educated.